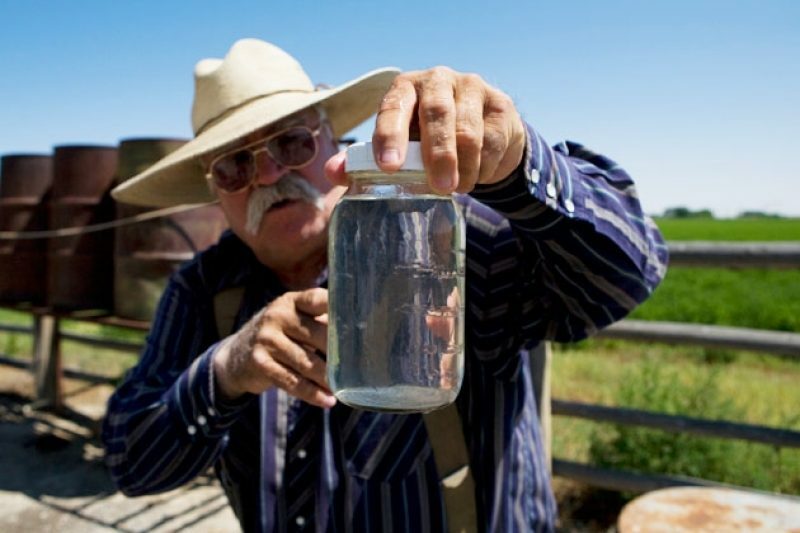 When the well water on Louis Meeks' ranch turned brown and oily, he suspected that the thousands of natural gas wells dotting the once-empty Wyoming landscape were somehow to blame. The hard part was proving it. Meeks' struggle to get the energy companies to take responsibility, meticulously documented through three years of investigative reporting by ProPublica's Abrahm Lustgarten, coincides with a national uproar over the oil and gas drilling process called hydraulic fracturing. The technology, which is explored in the Oscar-nominated film "Gasland," promises to open large new energy supplies, perhaps at the expense of the nation's water. This story was published as part of Amazon's Kindle Singles program, and is available for reading on that device. ProPublica's first Kindle Single,"Pakistan and the Mumbai Attacks: The Untold Story," is also available. Meeks suspected that environmental factors were to blame. He focused on the fact that Pavillion, home of a single four-way stop sign and 174 people, lies smack in the middle of Wyoming’s gas patch. Since the mid 1990’s, more than 1,000 gas wells had been drilled in the region — some 200 of them right around Pavillion — thousands of feet through layers of drinking water and into rock that yields tiny rivulets of trapped gas. The drilling has left abandoned toxic waste pits scattered across the landscape.It has also disturbed the earth itself. One step in the drilling cracks and explodes the earth in a physical assault that breaks up the crust and shakes the gas loose. In that process, called hydraulic fracturing, a brew of chemicals is injected deep into the earth to lubricate the fracturing and work its way into the rock. How far it goes and where it ends up, no one really knows. Meeks wondered if that wasn’t what ruined his well.